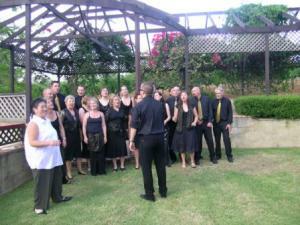 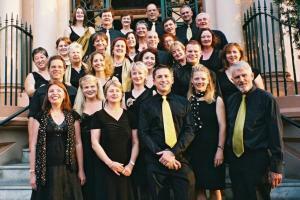 Choir member Sam's wedding to Matt at a winery in the Hunter Valley. 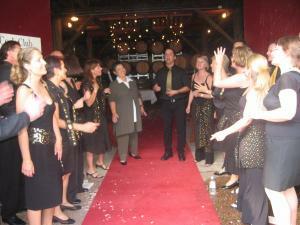 After Sam & Matt's wedding ceremony - Hunter Valley. At St Mary's Towers, The Sacred Heart Monestary, Douglas Park. 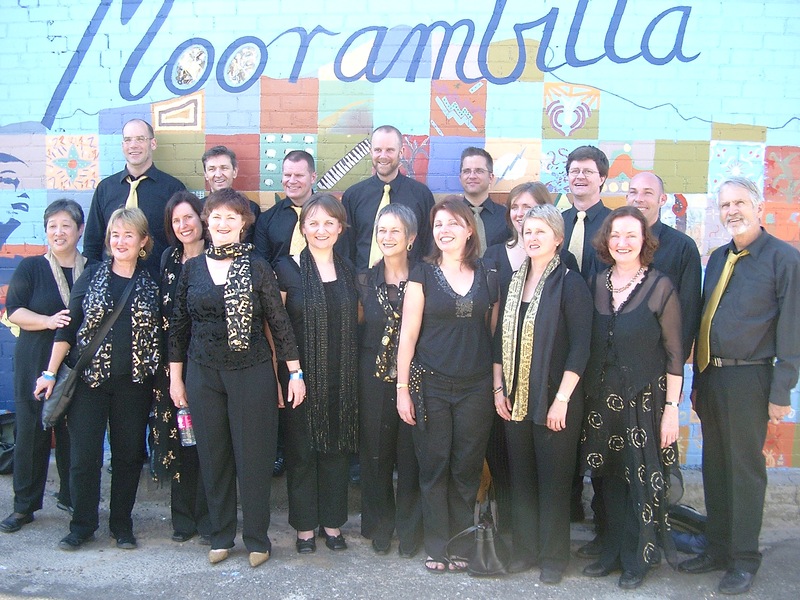 The Bees in front of the main street mural for Moorambilla, the community choral festival held in Coonamble, 800km inland from Sydney.